Vibrant and booming, the Powers Corridor quickly grew out of a once-quaint farming district in Colorado Springs, CO. Now home to a wide array of shopping, restaurants and entertainment attractions, this area truly has something for everyone. 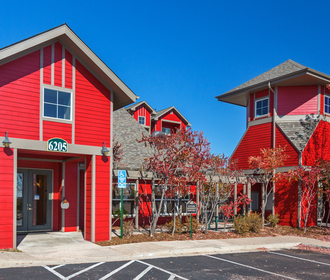 Here you will find Stetson Meadows, a pet-friendly apartment community that evokes a serene quality of life with far-reaching views of Pikes Peak and the snow-capped Sangre de Cristo Mountains. Each impressive residence boasts an assortment of rustic interior finishes. Oversized windows illuminate the open spaces, which include bright white appliances and nine-foot ceilings. Walk-in closets and washer and dryer sets make the homes as convenient as they are comfortable. Step outside your door to explore the community’s amenities, designed for relaxation and recreation. 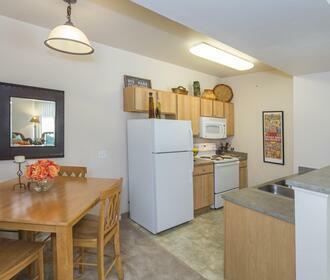 You can lounge on the expansive sundeck by the pool or play a game on the basketball court. 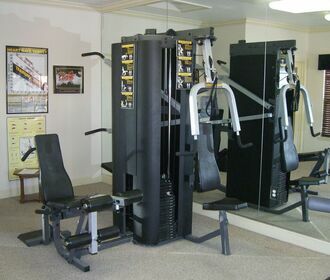 The on-site fitness center features plenty of equipment to help you stay fit. Stetson Meadows situates you in an ideal location off Powers Boulevard, minutes away from First & Main Town Center ,the area’s military bases, community parks and the Colorado Springs Airport.